Here comes another small but perfectly formed netbook, this time from Lenovo with the Ideapad S10. 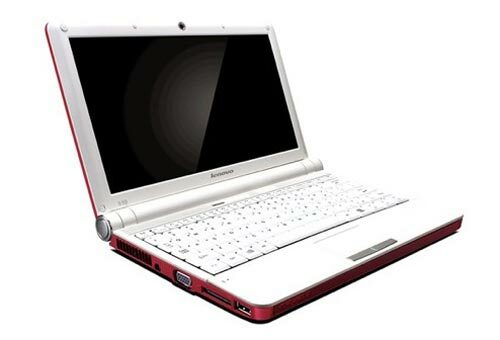 The Lenovo Ideapad S10 comes with Windows XP and weighs in at just 2.4 pounds, and measures 9.8 x 7.2 inches. It features a 10 inch back-lit LCD screen and is powered by Intel’s new Atom N270 and 945 GSE express chipset. The Ideapad S10 comes with 512MB of memory and an 80GB hard drive for the base model which will retail at $399, there is also another model which has 1GB of RAM and a 160GB hard drive, this model will retail for around $450. The Ideapad S10 will go on sale next month, whether it will be good enough to challenge the hugely popular Asus Eee PC remains to be seen, head on over to Laptop Reviews for more details on the Lenovo Ideapad S10.